Bosch has today lifted the lid on a new anti-lock braking technology set to appear first in limited numbers on European fleet bikes and latterly launch as an MY19 product. Having noted that electric bike riders are riding for two to three times longer that pedal cycle users, Bosch also looked closely at rising numbers of accidents in its native Germany; something that has not gone unnoticed by the media, in particular when it comes to e-bike use. 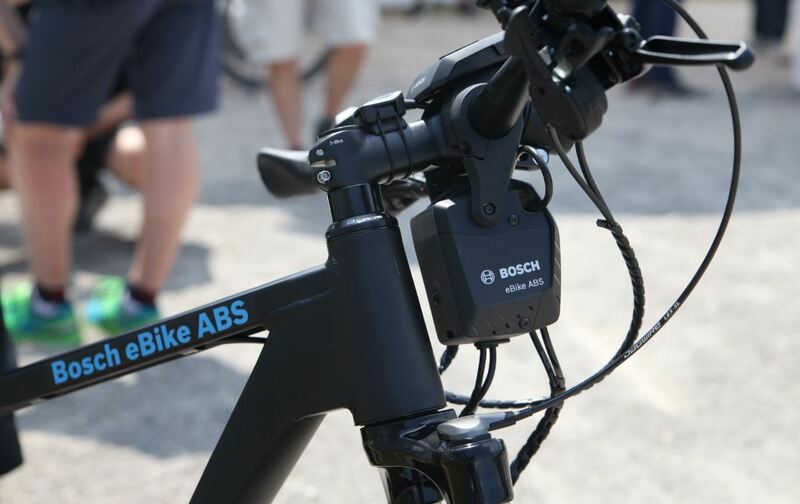 The Bosch ABS system prevents the front wheel from locking up, with sensors clad to partner Magura’s MT5 brakes telling the system when the front wheel may be prone to locking. Crucially, the system works no matter the terrain beneath the rider, as demonstrated to press at a gathering today. 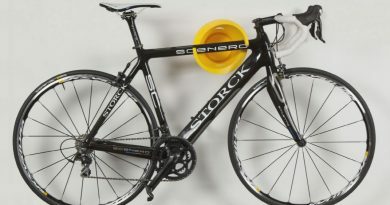 Adding 800 grams in weight, the package won’t weigh down the commuter bikes for which it is primarily intended. 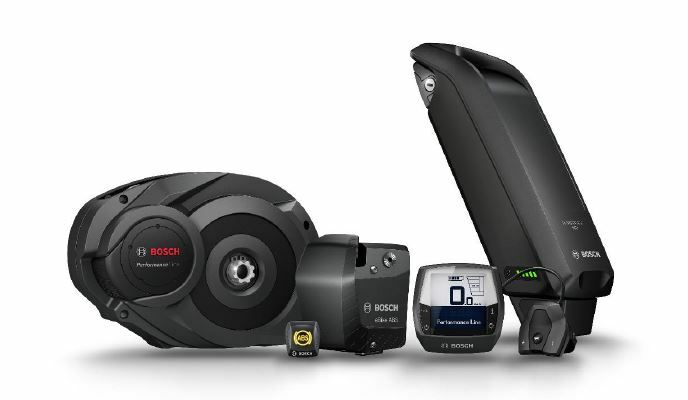 Power is drawn from the battery, but Bosch says that the levels taken are so negligible the system will still function when the battery has shut off power to the bike’s motor. 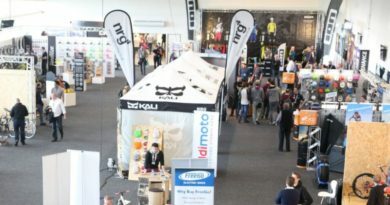 The trials on bike fleets in Europe will begin later this year, with data collected from these bikes to further refine the product ahead of wider distribution on MY19 bikes. 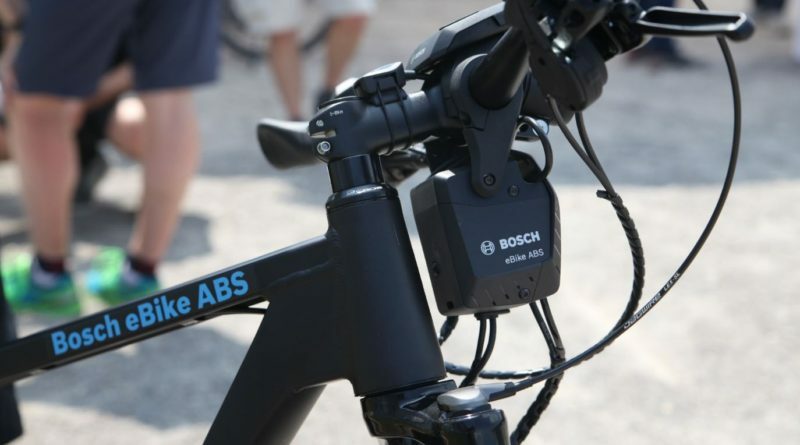 Initially the Bosch eBike ABS will be installed only on trekking and city bikes with 28″ rims. The eBikes for fleets are equipped with the Performance Line (Cruise and Speed) combined with the Intuvia display. In Germany alone, roughly three million cyclists are currently using electric assistance. As Claus Fleischer, CEO of Bosch eBike Systems, explains: “In order to establish this modern form of mobility for the longer term, safety is a pivotal factor for eBikers and their environment.” Two studies undertaken by Bosch Accident Research indicate that the accident rate can be reduced if the pedelec is equipped with an antilock braking system. In the first study, researchers examined more than 500 bicycle accidents in Germany. Their main finding: With the correct braking behaviour, many accidents can be avoided – or their consequences alleviated. 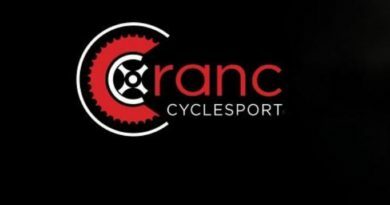 They found that in 20 percent of cycling accidents the rider had fallen before the actual collision occurred. Many of these falls were the result of an incorrect braking response (or a failure to brake). ABS ensures more stable and more effectively controlled braking when critical situations arise. The second study, based on data from more than 5,400 bicycle collisions and falls, also confirms that no braking took place in up to 75 percent of collisions. This is where ABS systems can be invaluable. 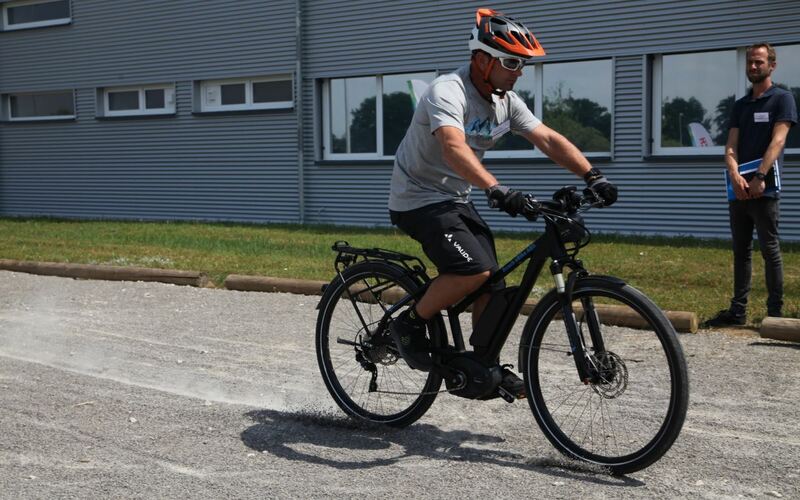 According to the accident researchers, almost a quarter of pedelec accidents could be avoided through the use of ABS. Moreover, the number of accidents with severe injuries could be reduced further, they found. Fleischer is convinced that the introduction of a system of this type can improve road safety in the longer term. 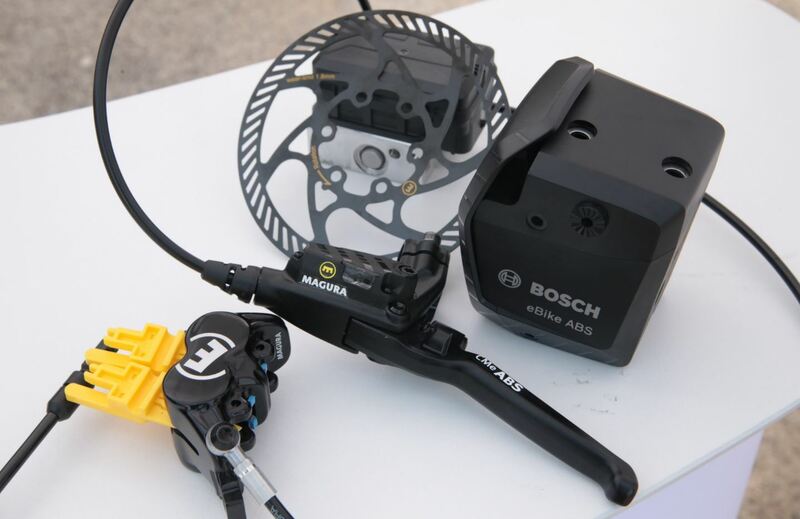 Drawing on experience from its motorcycle division which has had ABS technologies in production since the mid-90s, as well as from its partnership with braking experts Magura, Bosch’s ABS is already certified for both e-bike and speed pedelec use. Independent test house Dekra has certified the system. Anti-locking devices for two-wheelers were first installed by Bosch in a police motorbike in Japan in 1994.